This Fabric Softener and Conditioner from Ecover naturally softens and freshens your laundry with a gentle perfume derived from plant based ingredients. It leaves no residue of unnecessary chemicals on your clothes and makes ironing easier all of which is great news come laundry day! Furthermore this Fabric Conditioner has great eco-friendly credentials. It has quick and complete biodegradability minimum impact on aquatic life and the packaging itself is made from polyethylene and polypropylene which are 100% recyclable using a low energy process. Requires Ecover 15L Tap for use. Aqua, Dipalmitoylethyl Hydroxyethylmonium Methosulfate, PPG-2 Methyl Ether, Perfume, Sorbic Acid, Magnesium Chloride, Linalool, Citronellol. 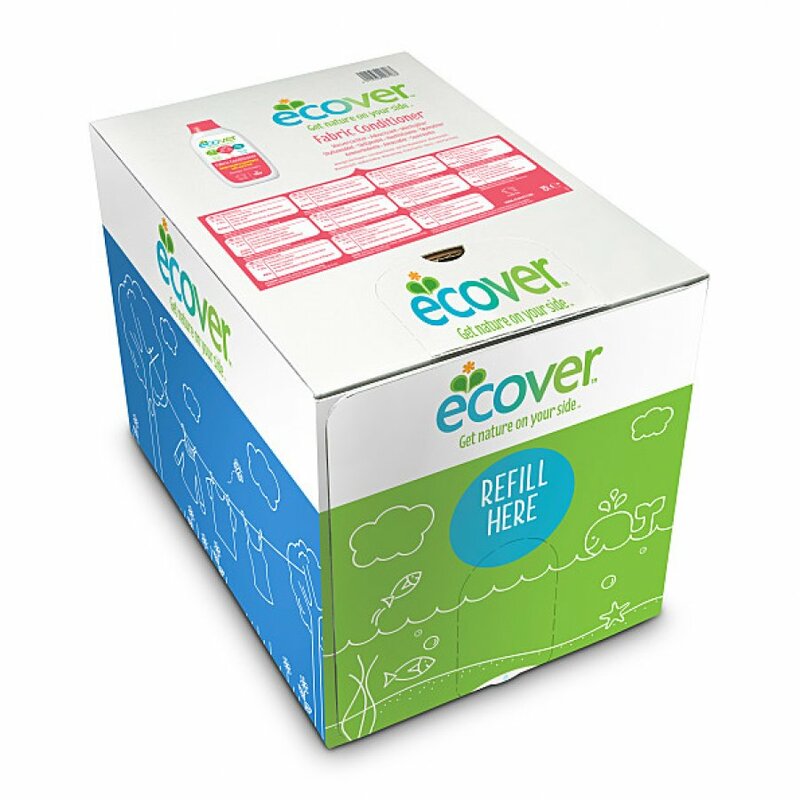 There are currently no questions to display about Ecover Bag in a Box Fabric Conditioner - Apple Blossom & Almond - 15L. Ecover is the world’s largest producer of eco-friendly detergents, cleaning and laundry products. The company’s progressive environmental policies have led to the development of environmentally friendly washing up liquids, household cleaners, laundry and personal care products that clean effectively with minimum impact on the environment and without harmful residues being left on the skin and on surfaces. If you share a commitment to the future of our planet and want to provide a healthy, safe environment for your family to grow up in, then this collection of green household products is for you. Ecover was launched in Belgium in 1980 and opened the world’s first ecological factory in 1992.